Try buying installs with Tapjoy, FreeAppADay, etc. Recognizing the problem, software development firm MobiDev, has recently conducted an in-house webinar dedicated to mobile app start-ups and the reasons why they might bite the dust quickly. The eight points they have generated should be studied in-depth by would be mobile app founders, since it would appear that the odds are stacked against them. A mobile startup is a business – the owner must decide the way it will bring profits. How will the startup owner make money on the software product after it’s launched? How will revenues be gained later on? Will the application be paid or free? Will there be in-app purchases or some other means of monetizing? The right pricing must be determined to keep the product competitive. Any app is built for a specific audience of users. The better it’s specified, the fewer are the chances to make a half-baked product. Thus the software owner can see the needs, the goals of the app, the problems it will solve – and thus the most needed features will be defined and implemented. A startup owner has to think of mobile customers in the first place. The startup owner must be sure to gather as much information as possible about the competing/similar products, and analyze it. If there is a fixed budget for the project, the startup owner has to invest it with maximum efficiency and lots of efforts. Additional features can be put off for the next version of the app. The startup owner suddenly has a new idea to be brought into the application. There can be more and more ideas – but any developer will say that changes in agreed features in the middle of development are highly undesirable. Some are relatively easy and quick to add and implement; but some are not, if they need a big chunk of already written code to be altered. This takes time and causes delays. Therefore, a strict deadline may lead to getting an unfinished application. It might be better to leave the app as agreed, and develop a new version with new ideas and features later on. This must be avoided at all costs. Communication with users shows that the startup owner cares about their point of view. Feedback allows to gather opinions, recommendations for further updates. A good and well-supported product lives longer. User reviews and rating on the application store hugely affect the overall picture. Apps with an average rating more than 4 stars out of 5, are initially higher in users’ favor.To react to the feedback, there must be app support for bugfixing and updates at the startup owner’s service. There are numerous ways to promote your startup app. If the startup owner knows the target audience, he/she knows how to reach their attention by offering a product that’s worth its cost, functional, yet easy to use. Marketing takes as much time and efforts as development, if not more. Mobile market is constantly changing, changing right now. Customer requirements change, new trends and mobile devices appear, and more, and more. That’s why the owner must be quick and resolute to make a decision that will push the startup higher, react and adapt efficiently and quickly, be ready for changes in the plan.These changes may not be that radical; but it’s never bad to be prepared. 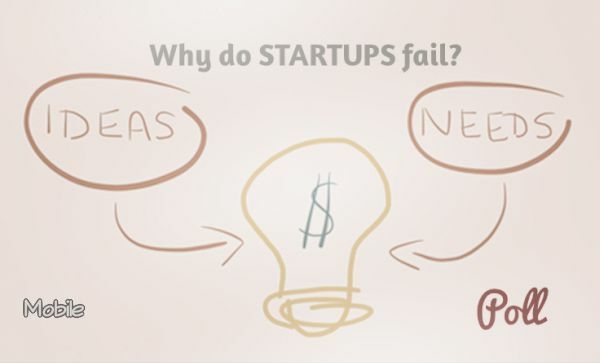 While studying these points does not guarantee success – there are many factors that may tip the scales against the startup. Lack of Leadership qualities, I suspect is a silent killer, but that’s business, and moving on, keeping these things in mind, can increase chances for success on the mobile market.